Born in Madrid in 1992, graduated in voice at the Universität der Künste Berlin. 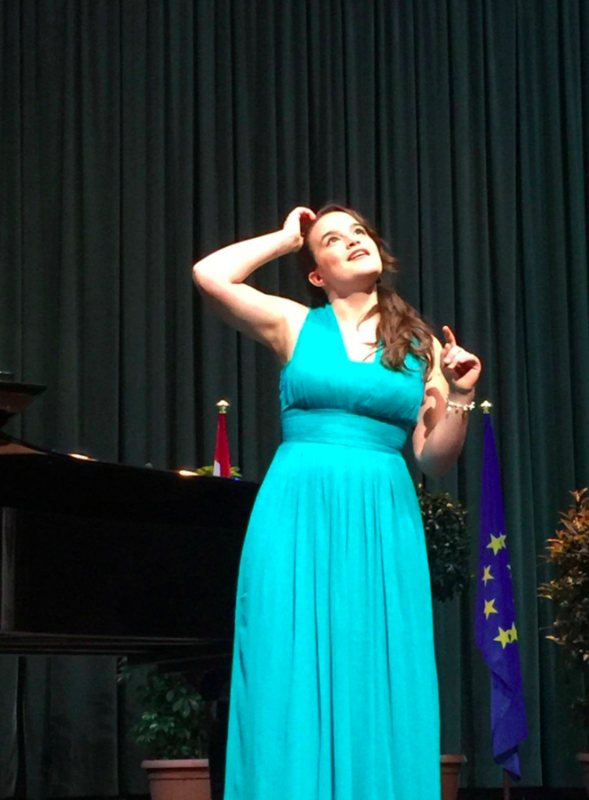 She receives the prestigious scholarship “Bayreuth-Stipendium” given by the Wagner Association Berlin-Brandenburg. She wins several competitions : the first prize of “Jeunesses Musicales of Spain” 2015 and “New Voices Ciudad de Sevilla” 2017. She represents Spain at the European Soloists Festival in Caracas in 2015. She debuts the role of Oscar in Un Ballo in Maschera in Gijón and sings the same role at the Teatro Municipale di Piacenza, Teatro Alighieri di Ravenna, Teatro Comunale di Ferrara under the stage direction of Leo Nucci. She sings Corinna of Il viaggio a Reims at Theater UniT Berlin. She is invited in recital by the Amigos de la Ópera de Madrid, the Círculo del Liceu de Barcelona, the Victoria de los Ángeles foundation “LIFE Victoria” in 2017 and 2018, the Vilabertran Schubertiada in 2018 and 2019 and at the Auditori de Barcelona in February 2020. Recently she has performed Rosina in Il Barbiere di Siviglia in Piacenza (sept. 2018), Nanetta in Falstaff at the Teatro de la Maestranza in Sevilla (feb. 2018), and debuts at Opéra de Dijon with a “Lorca” program in Mars 2018. In June 2018 she sings the “Sieben frühe Lieder” by A. Berg with the Radio and Television Orchestra of Spain (RTVE) in Madrid. In October 2018 she debuts the roles of Frasquita and Micaela in Carmen at the Auditorio Nacional de Madrid conducted by Miquel Ortega. She returns to the Teatro de la Maestranza in Sevilla (nov. 2018) with Charlotte in Krenek`s Der Diktator and Bubikopf in Ullmann´s Der Kaiser von Atlantis of conducted by P. Halffter. In 2019/20 she is invited again by the RTVE orchestra to sing the Mozart‘s Misa solemnis and the Bruckner‘s Psaume 150, she sings in Saint Petersbourg the Rossini‘s Petite Messe solennelle conducted by Semjon Skigin, she gives recitals in the Círculo del Liceu in Barcelona, in the Schubertíada Valdegovía/Gaubea (País Vasco) and in the Schubertiarda at the Auditori de Barcelona. She debuts at Teatro Real de Madrid with Tebaldo in Don Carlo.